In this week's Throwback Sundays article, we look at six watches for Halloween. It is the time of the year again, where all manner of ghouls and ghostly figures roam the streets to scare the crap out of people. Thus, in keeping with the reason for the season, here are six watch recommendations for Halloween which could scare the living crap out of you with their price tags. We jest. Jokes aside, watches are an essential part of our lives and there’s always some fun as a watch collector to keep their wristwear thematic in keeping with the spirit of Halloween. So, what’s in for treat or trick today? Let’s find out! First up, we have the intriguingly mysterious Sarpaneva Korona K0 Northern Lights. When it comes to Sarpaneva’s watches, there’s always a hint of enigmatism. Its aesthetics, especially the iconic moonphase indicator which features a rather delphian figure, an inscrutable face yet an accurate phase evoking our sense of curiousity and wonder. In addition, the dial, reminiscent of spider webs, are visually and thematically appropriate for the season as well. However, the best bit is the lume – the entire watch glows as we approach dusk, all thanks to the layer of SuperLuminova placed beneath the main dial. The lume, inspired by the Aurora Borealis, turns from mystical to downright stunning in the absence of light. The Sarpaneva Korona K0 Northern Lights is priced a relatively scary €14,500 (approximately S$22,178), but we reckon that this is one of the few watches capable of invoking a charm offensive able to steal the limelight away from similarly priced moonphase competitors. HYT Skull Maori, based on the skull, but with the engravings on the dial inspired by the Maori warrior tattoo. When it comes to symbolism of Halloween, there are not many motifs that appear more commonly than a skull (Ok, perhaps a witch’s hat); thus, there should be little question why the HYT’s Skull Maori appears on our list today. While HYT’s primary fascination is the much vaunted world’s first liquid time indication, its appeal extends to the pistons and bellows construction inspired by industrial mechanics as well. For this particular edition, HYT’s traditional Iron Man-esque skull takes on a life of its own with engraved Maori tattoos carved into skull. In fact, we harbour an almost macabre fascination with the way the tube outlines the skull, and the use of red liquid, akin to living blood, accentuates the sinister nature of it all. In addition, HYT brilliantly incorporated a power reserve within the right eye, which turns dark as the barrel winds down. As for the left eye, it serves as running seconds indicator. The watch, as shown, is cased in 5N Gold. Overall, we enjoy how the 50mm watch is being presented. The imposing skull, decorated with Maori motif engraving and outlined by a circular vein of red liquid, is a sight to behold. The strap, featuring Maori-inspired engravings, adds to the cool factor of the timepiece. It is, however, limited to 15 pieces, the HYT’s Skull Maori is not for the faint of heart (or wallet) and is priced at S$165,000 apiece. 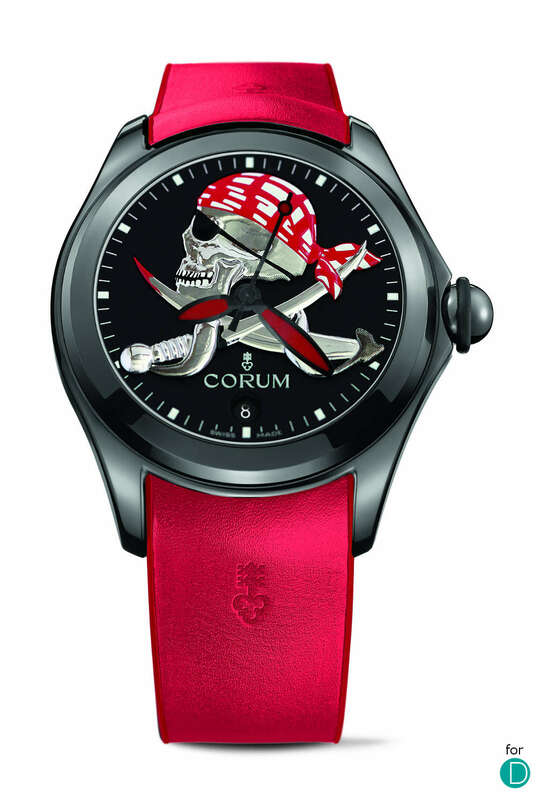 One of the three Corum Bubble Halloween specials – this is the “Pirate”. Designed specifically for the All Saints festivites, we have Corum and its Bubble Halloween collection. Historically, the Bubble Collection is one of the most iconic collections from Corum, aside from both its Golden Bridge and Admiral Cup series. Recently revived, the watch, fitted with its signature exaggerated domed sapphire crystal glass, represents the “fun” side of horology. For Halloween this year, Corum produced three different variants, each with a unique dial. It consists of Skull (limited to 88 pieces), Pirate (limited to 188 pieces), and the Voodoo (limited to 38 pieces). Each with its own unique set of characteristics, although both the Pirate and Skull are fitted with a DLC-case and complemented with a red rubber strap. Each of these watches are fitted with the CO 082 movement, which features a date indicator and a power reserve of around 42 hours. Only the Corum Bubble Halloween is available in the Singapore market, and it is priced at S$10,165 (with GST). These watches are sure-fire conversation starters at Halloween parties with its bold and intriguing design. The Christophe Claret X-TREM 1 Pinball. An either love-it-or-hate-it timepiece, but an interesting one for Halloween nonetheless. When it comes to aesthetics of a watch, there are two extremes (no pun intended). On one end, there is the classic and elegant dress watches. And on the other side of the spectrum, we have watches which challenge preconceived norms and conventional pointer hand indications of a traditional timepiece. The Christophe Claret X-TREM 1 Pinball, as it name suggests, fits into the latter category perfectly. The X-TREM collection was launched in 2012, and it serves to lift watchmaking to the next level, with a combination of technical advancements and playful aesthetics. The Pinball machine is a hallmark relic of most watch collectors today, having grown up with them rather than the less mechanically inclined Xbox. 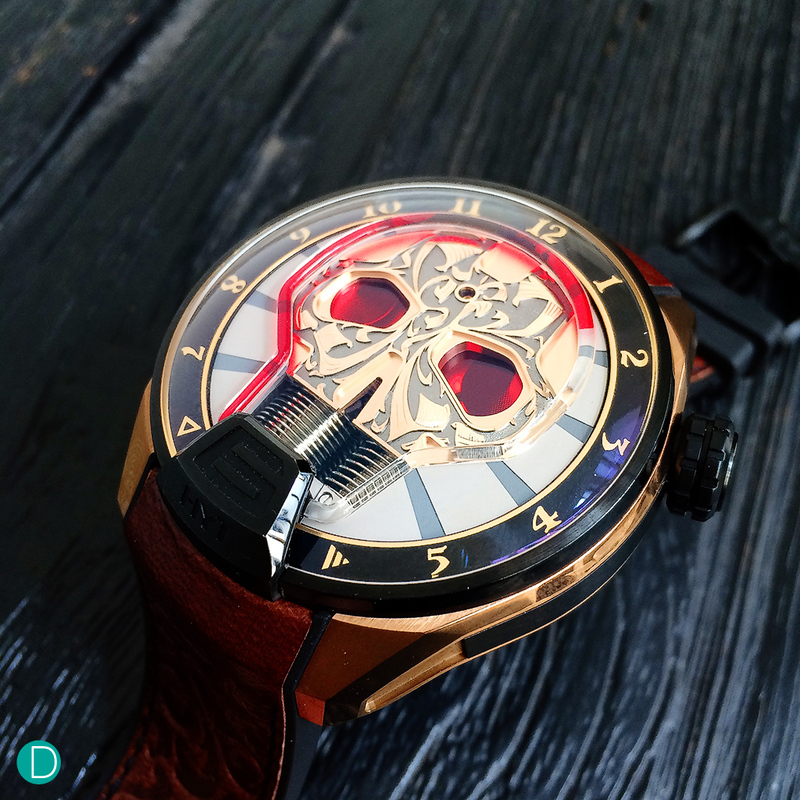 Anchoring on the theme of “play”, Christophe Claret combines the idea of fun and creatively with striking colours and a novel way of telling time (using a magnetic levitation system). The centerpiece of the watch, which is the flying tourbillon, is designed to be literally eye-catching with 30 degrees inclination to allow a greater vantage point; furthermore, the entire mechanism is supported by a double ceramic bearing, with cone-shaped pinion transmission, in this respect, it is not just artistically creative but technically inventive as well. Alas, this is a piece unique that was created for the fifth installment of the “Only Watch” auction. 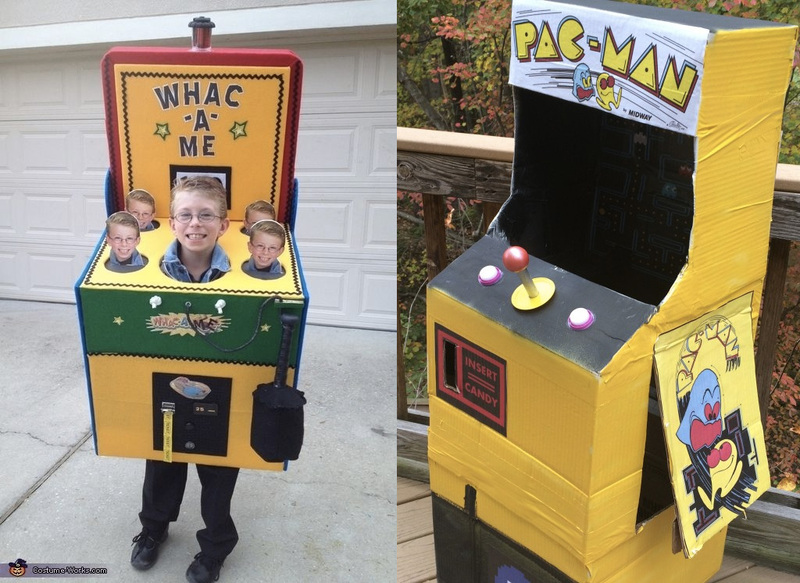 This would have been the perfect timepiece to don considering the amount of kitschy arcade-machine themed costumes out there. 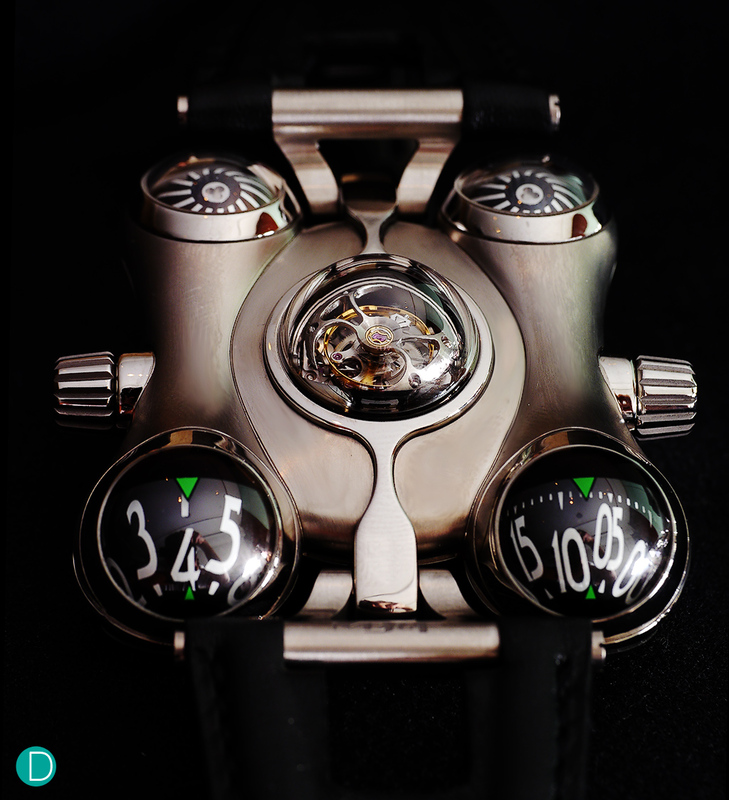 The MB&F HM6. The case is very organic, with a space-inspired theme. Continuing with the spirit of Hallow’s Eve, we have a watchmaker that is no stranger to strangeness and outlandishness. 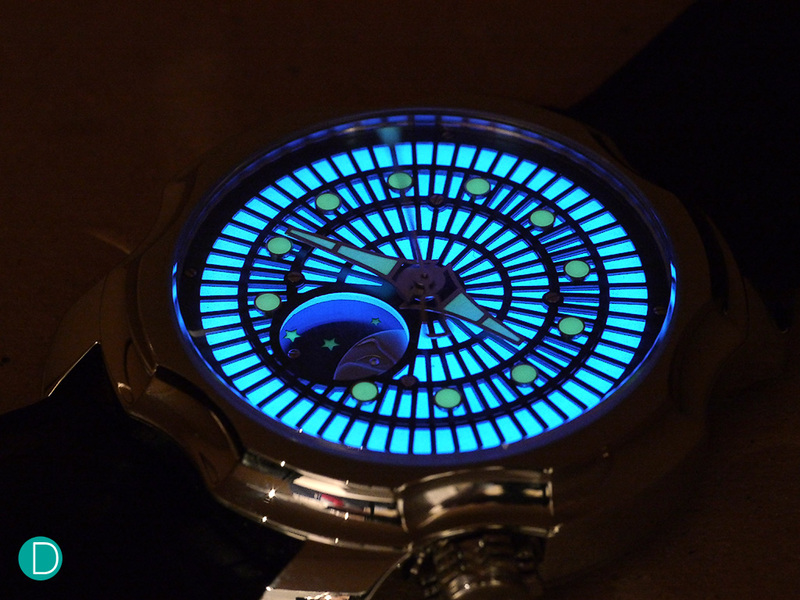 Cue the MB&F, and its HM6 “Space Pirate”. The HM6 is part of the Horological Machine collection, a homage to Max Busser’s childhood fantasies and his horological expression of traditional time-keeping in very contemporary forms. The HM6 Space Pirate is one example, in which it was greatly inspired by Capitaine Flum and his Comet Spacecraft. What attracted us to this timepiece was its organic design, and the hint of awe-inducing wonder behind the space-inspired sculptural architecture. Its shape, together with the domed crystals, makes it appear as though it is an extraterrestrial creature with a life of its own. 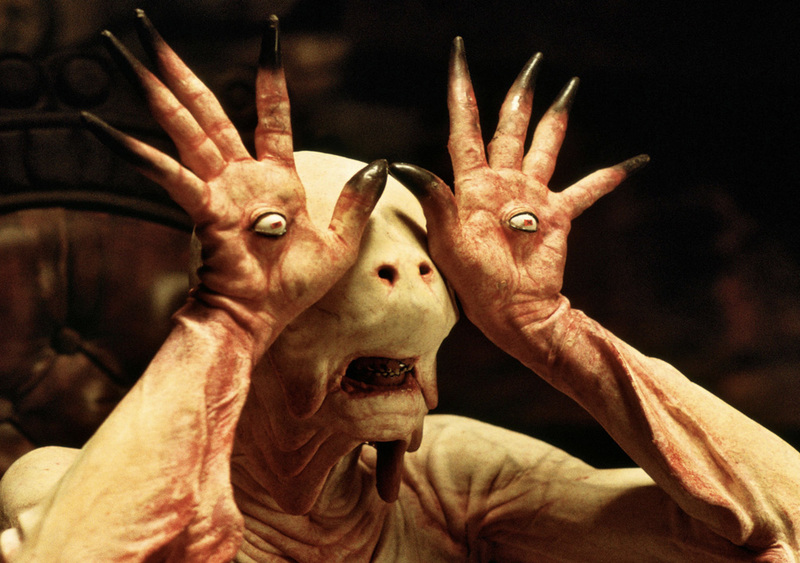 In fact, for those of you who are familiar with the works of Del Toro, Pan’s Labyrinth comes to mind (the shield under the escapement dome opens and closes much in the same way as those creepy eyelids on Pan’s monster). Priced at US$230,000 (approximately S$320,229), the HM6 Space Pirate is definitely not something for the weak-hearted. 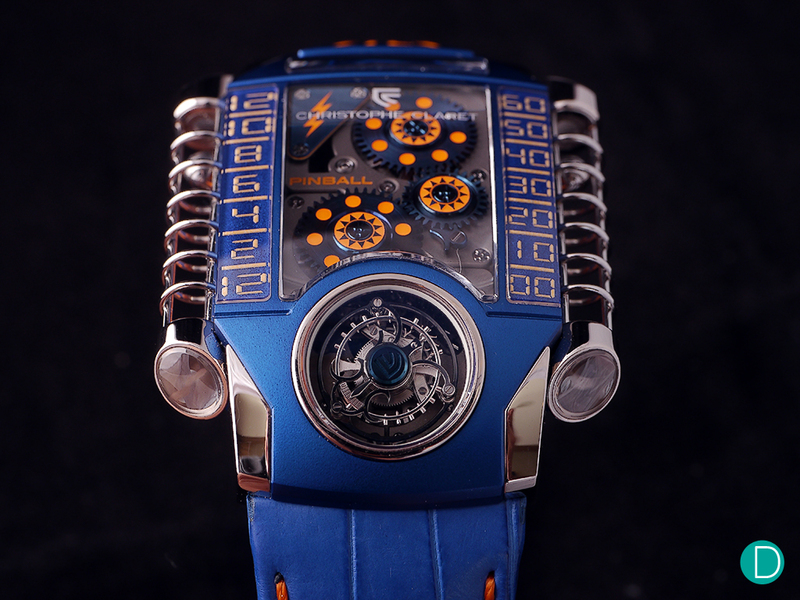 Notably, the HM6 is available in other variants as well (such as the HM6 SV), but we feel that the standard model is perhaps the one that captures the theme of space or if you have the stomach for it, cosmetic effects that would turn your watch into a beast which Del Toro himself would be envious. Why stick to Halloween stereotype costumes of zombie or vampire when you could go as Tennis superstar Rafael Nadal? The Richard Mille RM27-02 Rafael Nadal Edition is not just interesting but probably one of the definitive high impact, high performing sports watches of all time. 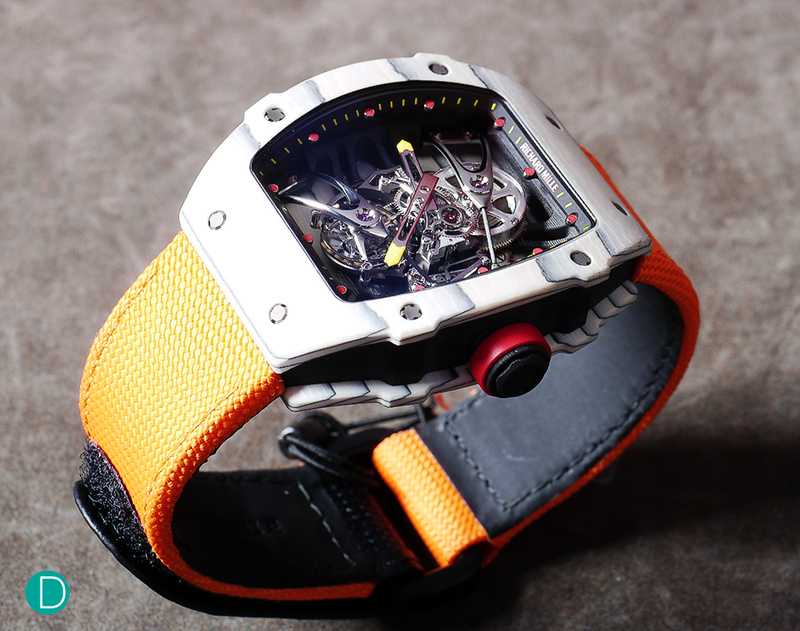 Besides its striking orange design, the watch features some extraordinary technical feats. The RM27-02 Rafael Nadal Edition, for instance, weighs under 19 grams. That is all thanks to the use of NTPT Carbon and TPT Quartz in the construction of both the case and base plates. On top of that, the watch is regulated by a one-minute tourbillon, which weighs a mere 3.35 gram. It is an incredibly lightweight, but robust timepiece. 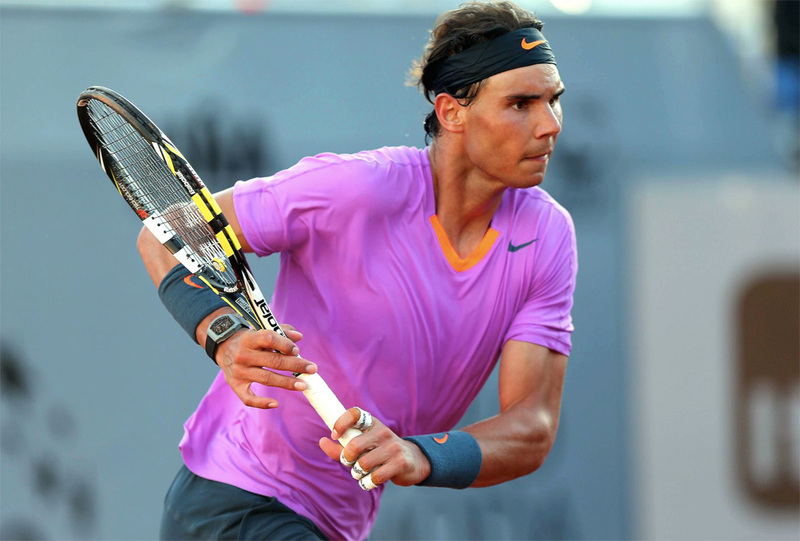 After all, Rafael Nadal himself wears it to play tennis. Once you digest the staggering €777,000 (approximately S$1.19 million) price tag, you only need don a sports kit, a sweat band, a tennis racket and one of the 50 piece limited edition and you’d be nigh unmistakable for the millionaire tennis wunderkind. Today’s throwback selection of watches revolves around pieces that we think are apt for Halloween. They are pieces that either motifs synonymous with Halloween, or that will complement select Halloween costumes nicely. Any jokes we made about prices today are in keeping with the heart-racing entendre of the season. So, what are your thoughts on the six pieces that we have selected today? What are some of the watches that you would consider appropriate for Halloween festivities? Let us know in the comments section below, and till the next article, cheers!